One of the aims of the Club when first founded was to provide competition for dogs who had already attained all their Tracking qualifications and could no longer compete at Tracking Trials. 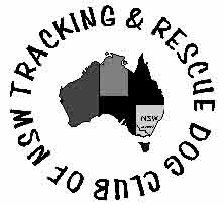 The Vic Friezer Tracking Trophy is a memorial to a founding member of the Tracking and Rescue Dog Club of New South Wales and is for the dog who wins the Tracking Competition. These are some of the previous holders of this trophy.